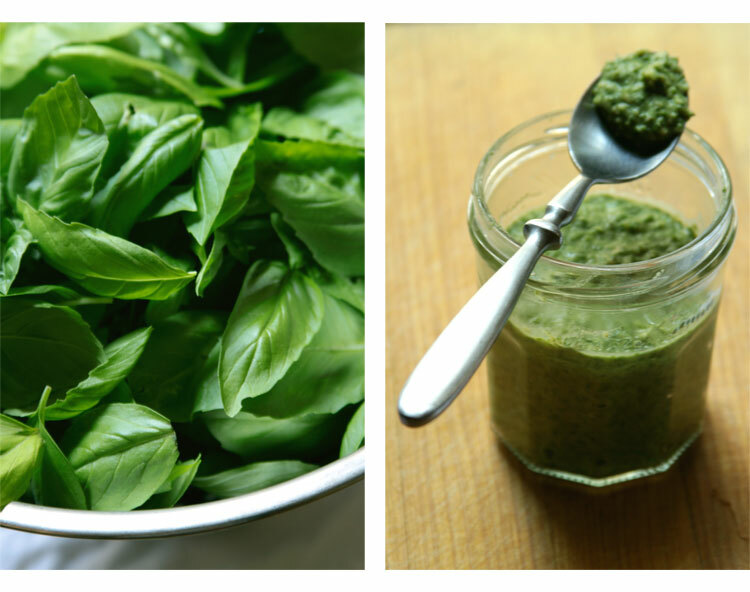 I depleted my basil plants to make this pesto, and it was worth it! (Especially since they seem to be recovering.) I put it on pizza: I made the same slow-rise crust, spread the pesto on, covered in more tiny, sliced grape tomatoes, and baked. YUM. 2 - 3 cups fresh basil, or as much as possible! To prepare the garlic: Trim the root and top ends of the garlic head. Separate the cloves, but don't remove the peels. Heat a tablespoon or so of olive oil in a frying pan (cast iron works best) to almost smoking point, then turn down heat as low as possible. Add the garlic, skin and all, to the pan. Roll the cloves in the olive oil and cover the pan. Cook for about 5 minutes. 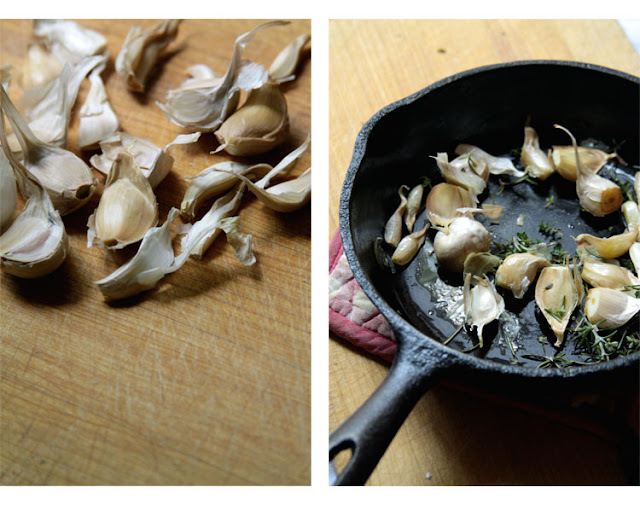 Then check the garlic: it should be light brown and smell absolutely amazing. Shake the pan to turn the cloves. Cover the pan and cook for another 5 minutes. After this, add the rosemary and thyme, then leave the lid off as you carefully stir the garlic for another 5 minutes. The skins should be falling off as you stir, and be incredibly fragrant. 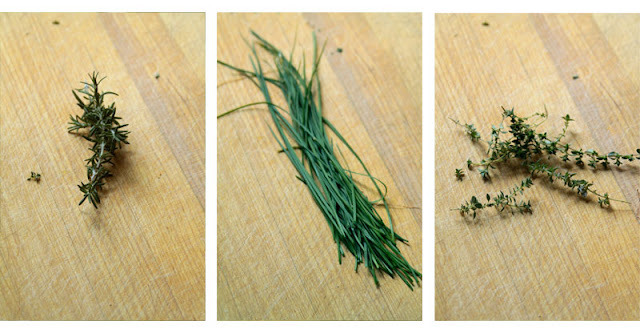 If not braising, chop the garlic roughly (it'll end up being pureed anyway) and saute with the herbs, if using, until golden. 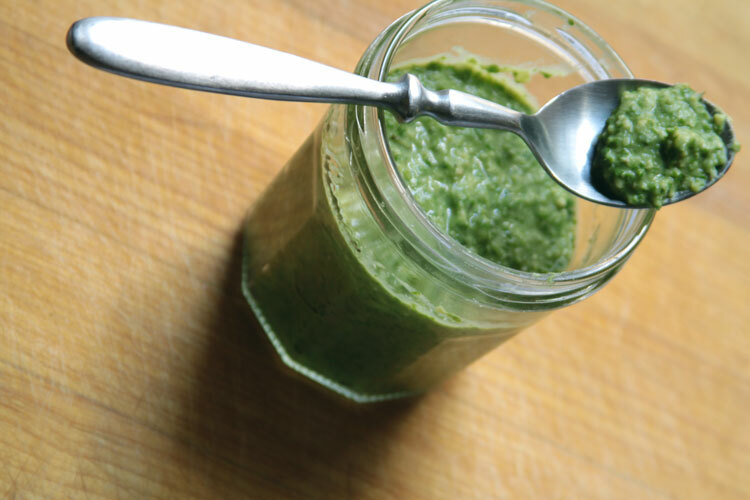 To make the pesto: In a blender or food processor, combine the beans, the braised garlic, minced garlic, basil, chives, pine nuts, water, oil (if using), pepper, and salt and blend until smooth. I have never made basil pesto from braised garlic. This sounds amazing. I have a potload of basil waiting for the processor. And though my version may not be vegan, it will definitely have braised garlic. Beautiful pics. Oh, came here from Soma's blog. 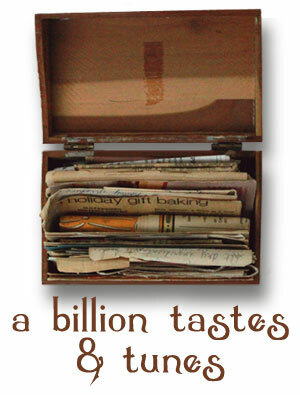 sounds wonderful, I am going to have to try this one!